A timeless timepiece for the discerning gent, the Xetum Kendrick boats an ETA 2824-2 Swiss automatic watch movement with 25 jewels, 38 hour power reserve and 28,800 A/h oscillating frequency. 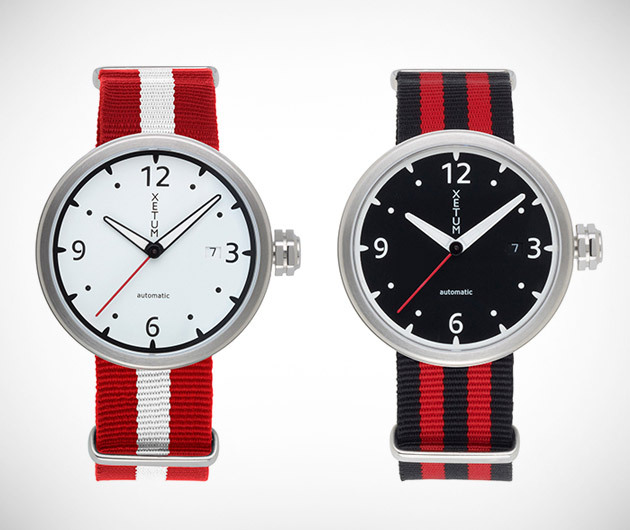 The attractive matte dials are bold and distinctive, as are the contrasting range of nylon and rubber straps. Beautiful and durable, they're water resistant to over 300 feet.